What are Competencies and Why Does an Organization Need Them? Training employees today is very different than it used to be. Many organizations have realized the benefit of using an online training software, with the LMS (learning management system) market projected to grow almost 4x by 2022. But even with all of the LMS offerings, customers are still not happy. Some studies have shown that as many as 44% of customers will replace their LMS in two years. The thinking behind employee training has not changed, and a more comprehensive approach to employee growth using a competency-first mindset is necessary. Competencies are the skills, knowledge and behaviors required to perform a specific job and to achieve success. It is essential that companies develop competencies for each position so that each employee understands what is expected, can be trained to these requirements, and can perform to the best of his or her ability. This is a more complete way of approaching learning and development which benefits the organization as a whole, and also the individual in achieving his or her own goals. And yet every company finds a way to evaluate competency. If an organization’s employees weren’t at least partially competent, the firm would be out of business! Can Competency Management Apply to Your Business? While there are challenges associated with this approach, competency-based thinking is applicable to any size of business and in virtually every industry. Startups and small-to-medium-sized businesses may encounter growing pains if they make a jump in employee size or add another office at a different location. Their training methods at one location may not be as effective at the next location. They now need better methods for training a workforce that is not only increasing in size but is more spread out. Having a formal competency management approach in place can help prevent or solve these problems. And in enterprise and Fortune 500 companies, especially those that are looking at acquisitions, management may utilize an LMS (Learning Management System), but not the software capability to formalize and communicate the organization’s culture, philosophy, and soft skills effectively. In addition, any acquired firms may have used training methods that are very different from those used in the parent company. Competency management can help to assimilate new acquisitions and help the entire organization perform more consistently and effectively. What we often find is that companies have “pockets” of expertise and knowledge that are hidden. This employee expertise should be acknowledged and shared with the entire organization using software. As eLearningindustry.com said, “Corporations have to adapt fast to changing environments; so do the employees of those companies. 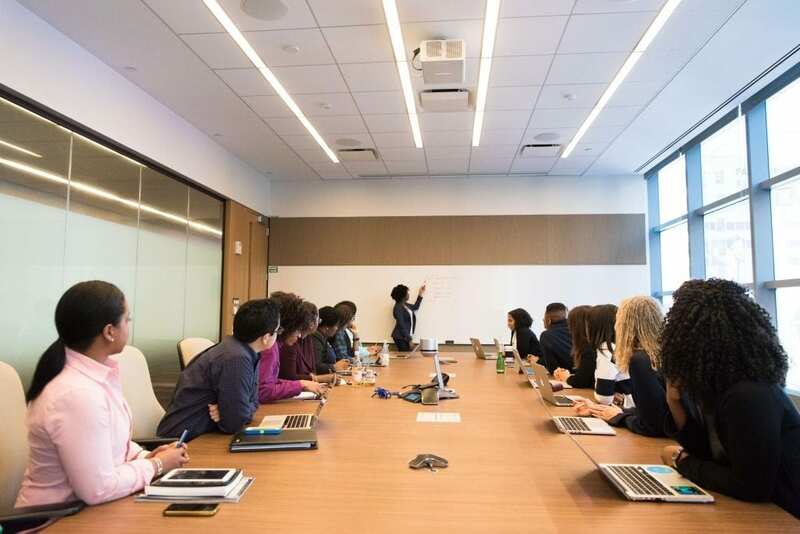 To make the change smooth, HR managers should know precisely what skills the company’s staff already has and what competencies they are lacking.” Once a company has this information, it can organize training to fill in gaps in knowledge and skills. The traditional method of workforce development involves the use of online training software such as Learning Management Systems. While these have provided more capability and flexibility to the Learning and Development process, the overall approach and philosophy to employee training has not adapted at the same pace. Many companies use an LMS as a standalone method of practice, creating courses or modules with assessments such as true/false, multiple choice, and short answer. Others use the more traditional classroom teaching, only in a virtual environment rather than physical. This can be effective in many cases, but the problem with this method is that it only covers the material taught in class. What about the skills needed for the job or in the field? The most efficient way to train and to assess skills is to practice in real situations. Companies need to put employees in real life conditions to challenge them, check their abilities and safety measures, and ensure they are competent in their jobs. Some LMS’ cover this with ILT (instructor led training) and OTJ (on the job training), but this needs to be at the core of learning and development programs, not an afterthought. This can be accomplished more effectively with competencies over traditional skills-based online training. In order for an organization to shift from traditional training to competency-focused methods, it is important to understand the difference between skills and competencies. The difference is subtle and can be nuanced, but it is extremely important to an organization’s success. Context is key. Competencies are the skills within the context of the employee’s responsibilities, distinguished by role, department, or even location. For example, a set of competencies required by a manager at a distribution center would be different from those needed by a sales manager at corporate headquarters. Even with individual organizations within an industry (for example Ford vs. Toyota in automotive manufacturing), there is no standard on what being “fully competent” is, so any software that addresses competency management should be flexible to account for this. Each organization has its own goals and idea of what competency is. This also applies to different sectors such as aerospace vs. automotive manufacturing standards. Now that you understand the importance of competencies and how they differ from traditional training, how do you implement this new approach, and create models of competency-based training that your employees will utilize? It’s important to keep in mind that the goal of any Learning and Development program is to produce fully competent employees. When choosing software to help with skills management, it is crucial the new product does not dictate how this is accomplished. As mentioned earlier, software should be flexible to the unique operations of an organization, and this extends to a person’s unique learning preferences as well. Notification of other opportunities that will give an individual additional experience. Competency Models can be written down in a list format, or use a visual table or graph. They can be built for an individual role, but are more effective when they take into account learning pathways of an individual in a specific career trajectory. For example a technician at a warehouse facility needs specific hard and soft skills, but his or her foreman needs additional skills as well. Individuals learn in different ways. Some learn visually, by reading written material, via audio or tactile means, and others by practicing a skill. Many also learn by being coached, with mentoring programs, and a combination of these techniques. Technology today is advanced enough to address these different learning styles for individuals, so why is it that most corporate training programs deliver tests in a standard manner to every person? These standardized tests are effective for some, but not equally effective for all individuals. Further complicating this learning issue is the generational difference. For example, Millennials prefer video and microlearning, while the older generation prefers print. And learning styles will continue to evolve over time as technology changes. That is why it is crucial to build competency models that identify the core competencies employees need for a comprehensive L+D program. These models serve as a blueprint for superior performance. When employees follow a competency model that suits their learning preferences and applies to their particular role, they can improve their skills quickly and succeed, which leads to higher job satisfaction, enhanced performance, and improved employee retention. A competency management software system is also beneficial because it allows management and other decision makers to take a step back to think about how their trainings affect the organization as a whole, not just their department or direct reports. The interrelation of subject matter experts in departments such as quality, safety, HR, and more, is important to a consistently performing organization that is poised for growth, especially those industries with quality and safety concerns. capturing distinct competencies to ensure employee trainings align with the goals of the enterprise. Competency management enables team members to not only prove they are competent in their current role but that they continually improve their knowledge, skills, and behavior, all the while addressing their individual learning styles. Competency management software can help assist your employees to improve their skills and morale. This progress will lead to less turnover, greater organizational efficiency, and increased profits for your business. In summary, if your business wants to help your employees progress, develop programs that advance your organization’s goals, and have evidence that your staff can perform their jobs not just in theory, but in real world situations, then it is time for you to try a competency management software system. We offer a solution called the Competency Manager which was made to solve this need. If you have an LMS and are unhappy with your training program, or simply want to add the benefits of competency management, we’d love to give a demo today.